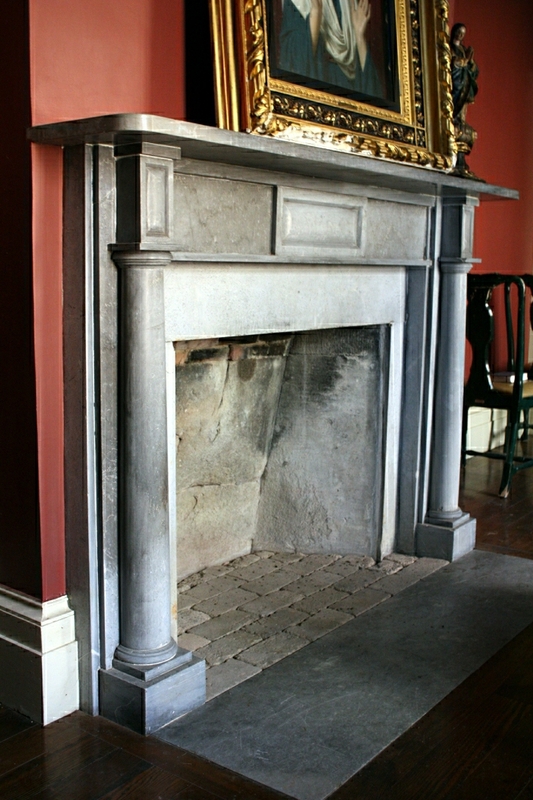 George Clarke (1768-1835) purchased two mantels made of gray Bennington marble from Abraham Labagh of New York City in October 1819. The chapel was originally divided into two rooms, one being Mrs. George Clarke’s bed room, and the other her sitting room. The rooms were converted into an Episcopal chapel around 1908 by Mary Gale Clarke (1862-1929), wife of George Hyde Clarke (1858-1913). The identical mantel is located in George Clarke’s office.